Some call him Honest Abe. Others call him The Great Emancipator. And yet, some know him as a vampire hunter. All of these nicknames & roles make reference to the 16th president of the United States, Abraham Lincoln. Now acclaimed filmmaker Steven Spielberg is directing a a historical political drama based on Doris Kearns Goodwin’s biography on Lincoln, Team of Rivals: The Political Genius of Abraham Lincoln entitled simply Lincoln. Lincoln captures the days leading up to the historical passing of the 13th Amendment which abolish slavery. It shows the struggles that Lincoln had with those close to him as well is the repercussions of his choice in going forward in such a controversial motion at the time. The acting in Lincoln is top notch on every level. Daniel Day Lewis really became Abraham Lincoln. While I’ve never personally known the 16th President but the way Lewis portrayed him really resonated with me. While being able to deliver the powerful emotional speeches Lincoln is known for, Lewis is also able to show the human side of Lincoln. He at times, was very jovial, allowing me to picture of him like a grandfather or an uncle. Bottom line: he didn’t play him as a larger than life figure, he played Lincoln as a regular Joe with a larger than life calling. 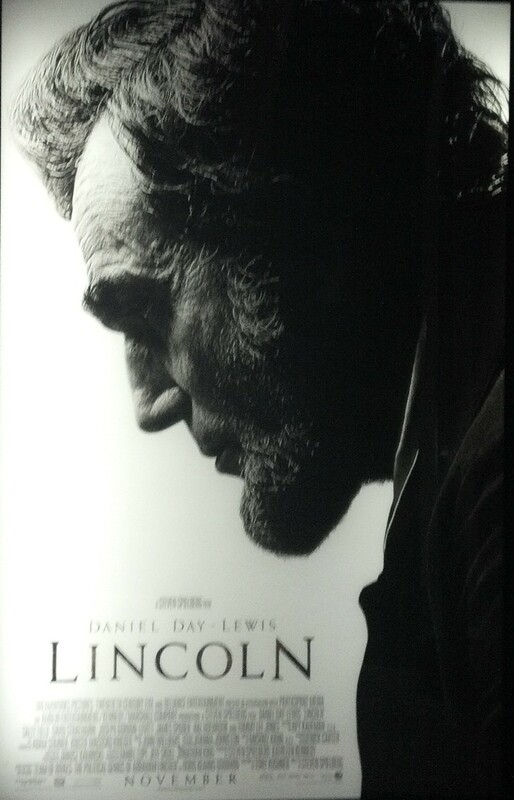 Lincoln has a great cast led by a commanding performance by Daniel Day-Lewis as the 16th United States President. While Daniel Day Lewis gave a stellar performance, he was supported by a supporting cast that could be the best of its kind all year. The cast is rounded out with talent that includes David Straithairn, Sally Field, Tommy Lee Jones, Joseph Gordon-Levitt & Jackie Earle Haley. What I really appreciated about the movie is that the flow allowed each actor has their own defining moments in the film. I liked how the unfolding of the events was portrayed as it painted a believable picture of how it may have went. While the historical backdrop gives way for plenty of serious moments, there is plenty of good natured comic relief to balance the tone out. I was surprised at how much I chuckled. What I appreciated was the depths Lincoln was willing to go to get the amendment passed, showing to me that politics is virtually the same in any time in history. There is a bit of spicy language throughout the movie and some disturbing images probably getting isn’t like wild the beginning of the movie is not like Saving Private Ryan it may put some audiences on edge.